Provide comfort for the family of Charlotte Duncan with a meaningful gesture of sympathy. Charlotte Ann Duncan was born April 11, 1923 in Berryman, Mo., to Henry J. Eye and Carrie Ann Eye (nee Dotson). She died at her home in Poplar Bluff, Mo. on Saturday, March 16, 2019 having reached the age of 95 years, 11 months and 5 days. Mrs. Duncan grew up in DeSoto, Mo. and Shirley, Mo. and graduated from Potosi High School in 1940. She was united in marriage to Wesley J. Duncan to which this union was born one son, Rolin B. Duncan. Mrs. Duncan was of the Baptist faith and was a member of Eastern Star. She was a housewife and worked with her husband in mercantile and agriculture businesses until retirement in 1988 when the couple moved to Poplar Bluff. Mrs. Duncan was an extremely talented seamstress and enjoyed crocheting, quilting and crafts of all kinds. She was preceded in death by her husband; her father and mother; one brother, Jimmy; and one sister, June Weekly. Mrs. Duncan is survived by her son, Rolin and daughter-in-law, Judy of Poplar Bluff; two grandchildren, Aaron Duncan of Poplar Bluff and Meredith Wilkitis of Jackson, Miss. ; four grandchildren and numerous nieces, nephews and cousins. 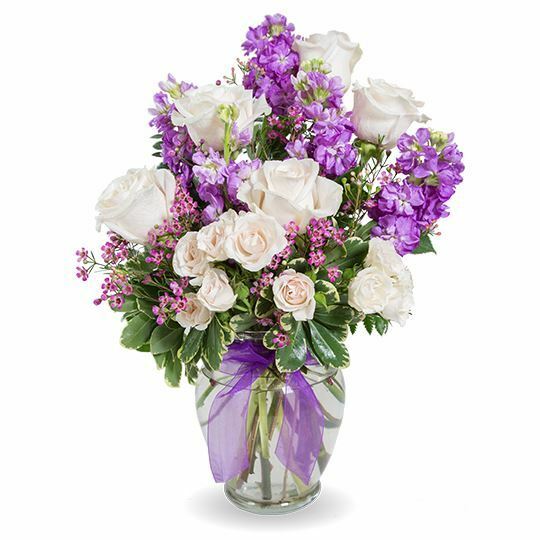 To send flowers in memory of Charlotte Duncan, please visit our Heartfelt Sympathies Store. Kenny and Joni Duncan sent flowers to the family of Charlotte Duncan. My sincere sympathy and prayers for the family. Sorry I did not make it to the funeral home to visit with you. Charlotte was a sweetheart. My sincere prayers and sympathy to all the family. Kenny and Joni Duncan purchased flowers for the family of Charlotte Duncan.